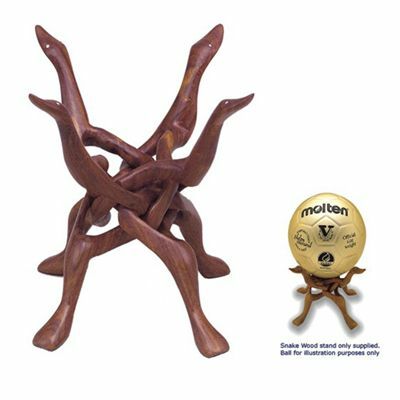 The Molten snake wood presentation stand has been designed to display the team of the month or the coach of the month award. It is ideally suited to hold the Molten Gold Basketball or the Molten Gold Football. This beautiful stand from dark wood is hand-carved in Pakistan. It can be folded for easy storage and transportation. for submitting product information about Molten Snake Wood Presentation Stand We aim to answer all questions within 2-3 days. for submitting product information about Molten Snake Wood Presentation Stand. We aim to answer all questions within 2-3 days. If you provided your name and email address, we will email you as soon as the answer is published. for submitting product review about Molten Snake Wood Presentation Stand.